This classic Art Antique Antler piece is a prestigious table stunningly designed and made by Craig Bloxsome using an antique table as a starting point. 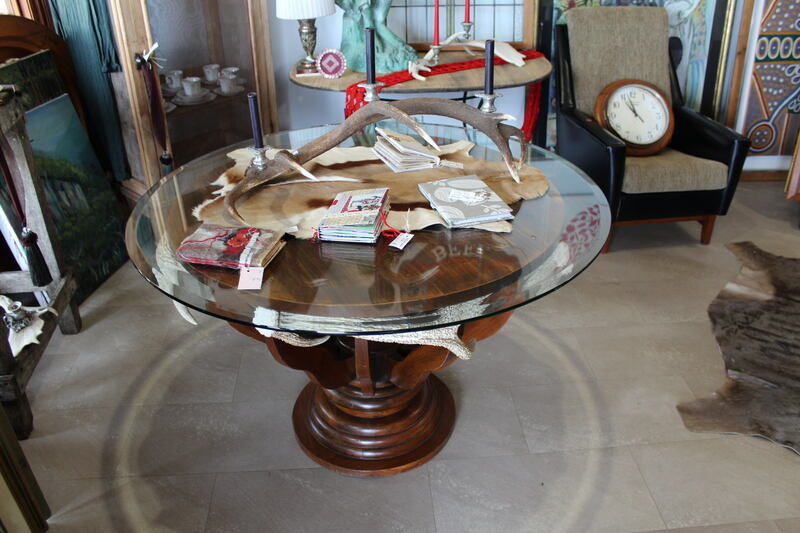 The table has been restored to it’s former glory by Craig and a beveled round piece of glass rests upon the table, which is so rare as you can’t get glaziers to do beveled glass any more. Antler pieces have been strategically placed under the top base of the table in an artistic array, typical of Craig’s work. This is a statement piece and is representative of what Art Antiques Antlers aspires to be and is.